The Challenge: Create a 24 page comic front to back in 24 hours! 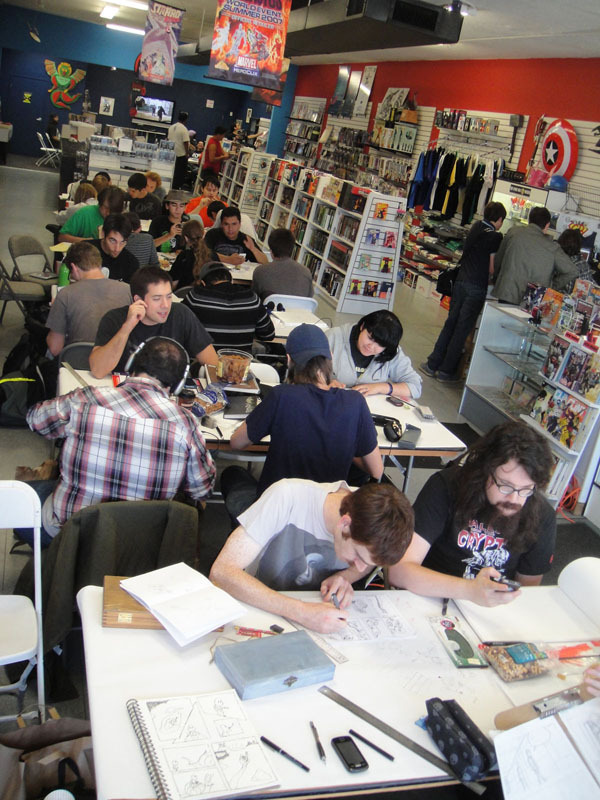 The hard fast rules are that you are supposed to show up at The Comic Bug without an idea and kick things off at noon sharp. We really don’t care how you do it. Come with a friend, work on your existing comics or ideas, we just want you to have FUN! From 2 a.m. to 4 a.m., we’re holding our annual 24 HOUR COMICS DAY SALE! Half off trade paperbacks and back issues. Big discounts on other store items as well. Get up and stretch and get your shopping on! Not participating in 24 Hour Comic Day? That’s okay too! Come down and cheer the creators on and you can take part in the big sale too!